It was a musical thriller for the senses! Eddy, the Bird Who Was Afraid of Heights, was going all out to rescue his friend Matt the Rat from the clutches of the evil crow. 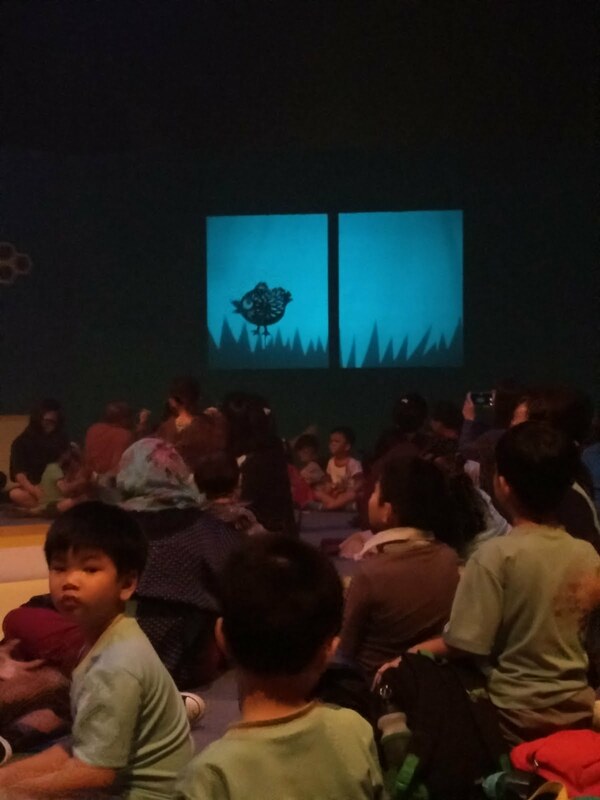 The children witnessed the entire drama unfolding in front of their eyes via different mediums such as light play, wayang kulit, and human puppetry at its finest. 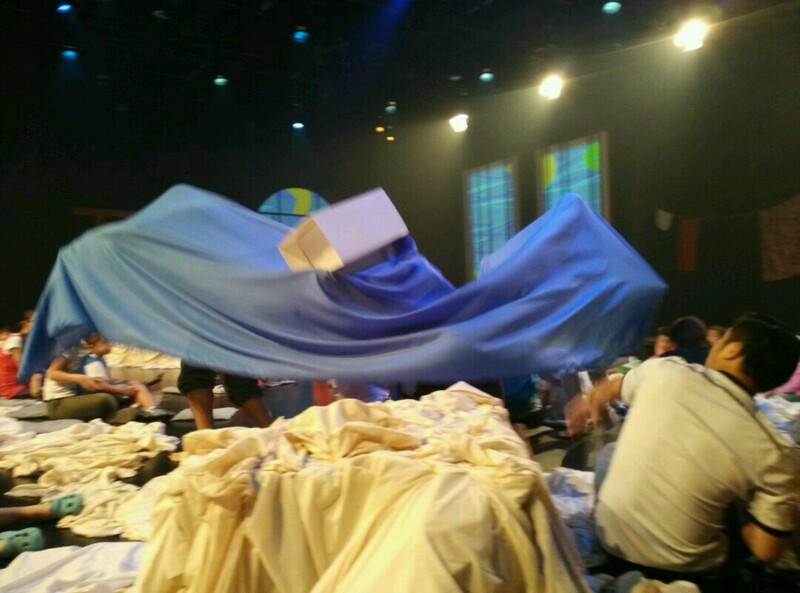 And the crowd of kids from preschools and special education schools across Singapore were completely mesmerised! 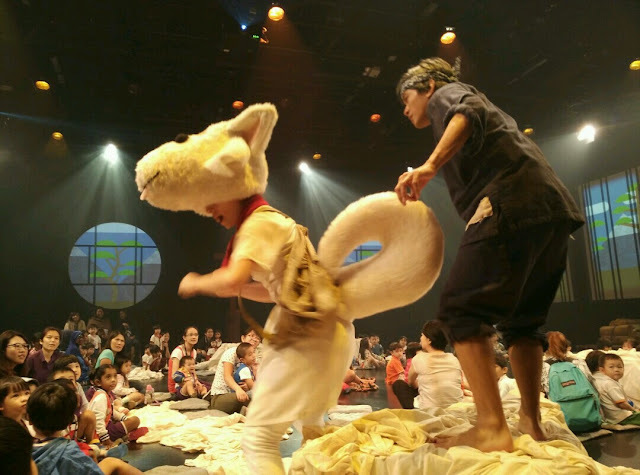 Coupled with catchy tunes, memorable characters and a large component of audience interaction, the performance was truly Children's Theatre at its best! that fly into the hearts of the kids. 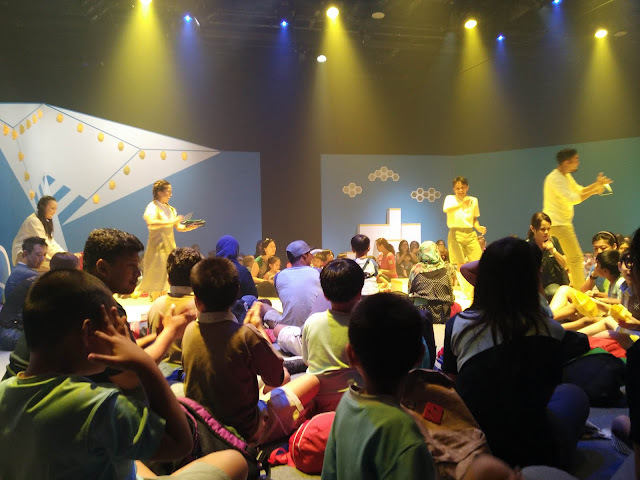 Kids were enthralled by the use of light play and other theatrical delights. 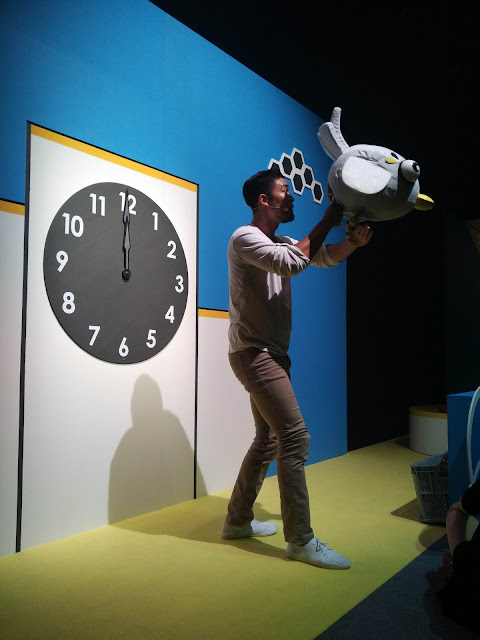 The Bird Who Was Afraid of Helghts is the third production from the Esplanade PLAYtime series this year which introduced sensory-friendly elements in order to make theatre more accessible to children with special needs from all ages and abilities. 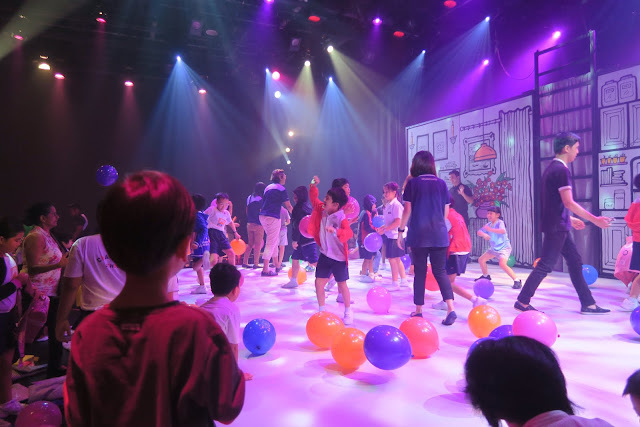 Esplanade says a sensory-friendly performance has the following features: a generally brighter environment with no total blackouts, no sudden loud sounds, as well as free and easy access into and out of the theatre during performances. And, if kids need a place to take a break and relax from the performance, they can also head out to a space created specially for them - PIP’s PLAYbox, which is located just next to the theatre. 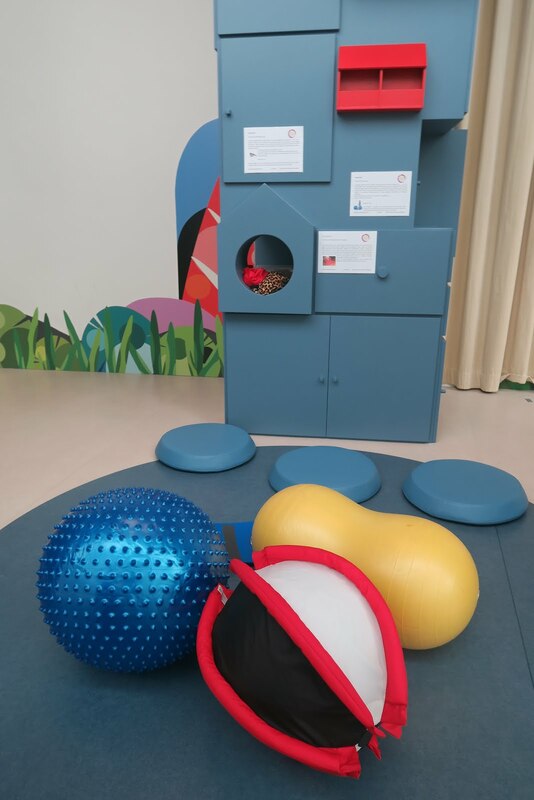 Pip's PLAYbox is a lovely space for kids to relax and chill out. Parenting on Purpose has had an exciting journey with sensory-friendly productions. Since we were invited to take part in Singapore's first sensory-friendly performance by the Ministry of Bellz earlier this year, we have been privileged to be part of a group of individuals who were consulted by the Esplanade on how to make a concert sensory-friendly. This was in order that children with special needs would be able to enjoy the arts without getting a sensory meltdown at the theatre. Given our increasing involvement in the area of special needs (through our store Sensational Play and our training arm The Social Factor), as well as our background as educationalists, we were glad that the segment of the population with special needs has been getting more attention here in Singapore - a key highlight has of course been the 2016 National Day Parade, with my long-time theatre idol R. Chandran helming a segment featuring participants with special needs. And so Parenting on Purpose has been privileged to be at all three productions of the Esplanade's PLAYtime! 2016 series which featured sensory-friendly elements. 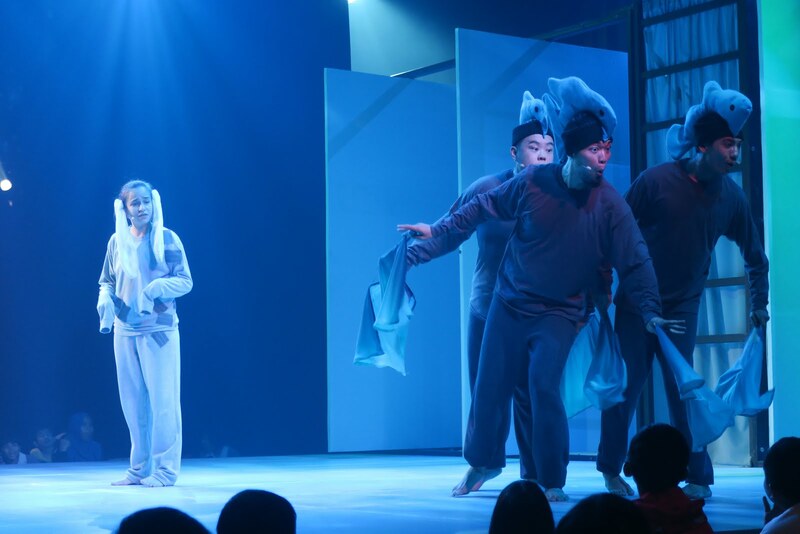 The first performance, Bunny Finds the Right Stuff, was adapted from a popular children's book by author Emily Lim. It spins the tale of a soft toy rabbit Bunny, who just didn't feel right with the way she was. As such, Bunny gets the help of her friends to find the right stuffing needed so that she would not be floppy anymore. But what is the right stuff? And is our identity related to finding the right stuff? The sets for Bunny Finds the Right Stuff were delightfully illustrated yet simply designed. My two kids, then aged 5 and 3, loved the Bunny production. Its interactive elements left many in the crowd wanting more. A case in point was my 3-year-old's desire to give his stuffed toy bear to Bunny, in order that she would be able to "feel right" again. Both boys also loved the catchy songs and the excellent acting and puppetry by the four-person team of Andrew Marko, Bright Ong, Lian Sutton and Selma Alkaff. Meeting the sharks. Lighting has always been a strong element of most of the PLAYtime plays. 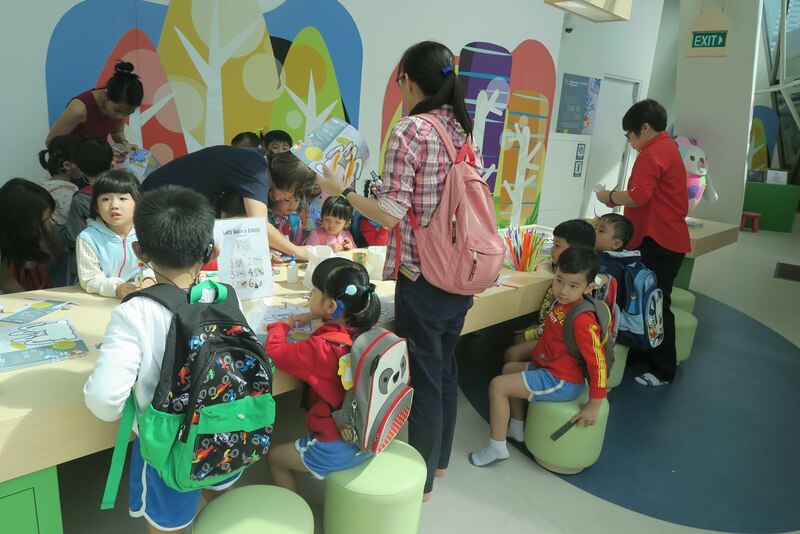 A wonderful and interactive time for the kids. The second production, Grandpa Cherry Blossom, is a retelling of a popular Japanese folktale, Hanasaka Jiisan. 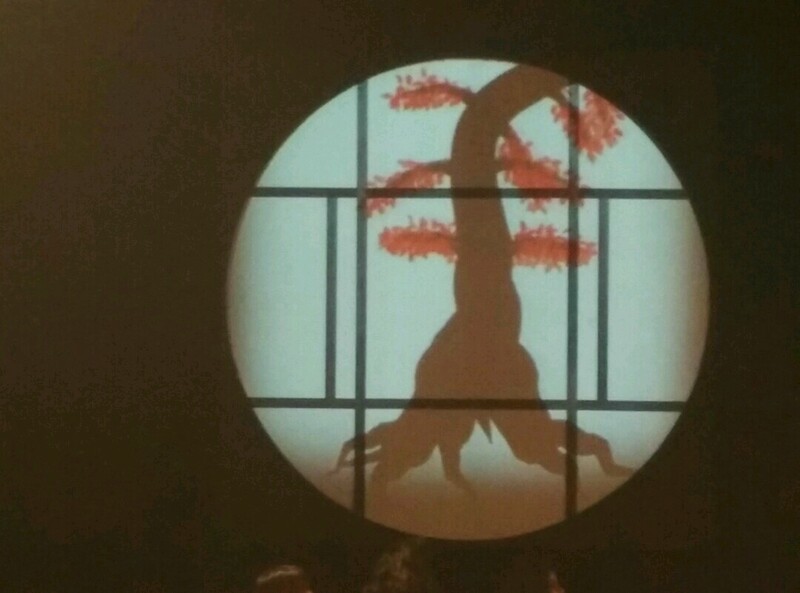 It tells the story of Ojiisan and Obachan, an old couple who longed to have a child but couldn't have one. Then one day they found a little puppy and decided to care for it. Little Shiro, whose fur was as white as his name, was the apple of their eye, and the old couple showered all their love on him. So the little dog decided to repay Ojiisan and Obachan for their kindness. He had a secret that no one else knew about - he could sniff out gold! What happens then when Ojiisan's evil neighbour finds out about Shiro's special gift, and schemes to keep the dog for himself? Grandpa Cherry Blossom featured characters who were larger than life and much loved by the children. tale of how Ojisan finds little Shiro. Grandpa Cherry Blossom transports the audience into heartland Japan, with its quaint traditions and deep respect for honour and gratitude. Any student of Japanese culture would be fascinated by the extent that the drama took to transport its audience into the Land of the Rising Sun. And the story was told with stunning digital animation and fascinating light play, to complement the excellent acting of the four cast members. ethereal and magical nature of the story. It has been a most enjoyable journey partnering the Esplanade in its sensory adventure. Through it all, the experience has made us more aware of the needs of those around us; everyone after all, needs to be be the opportunity to be exposed to the arts. Consider my older son, aged 6. He has had outings to the theatre since the age of 2/1/2. 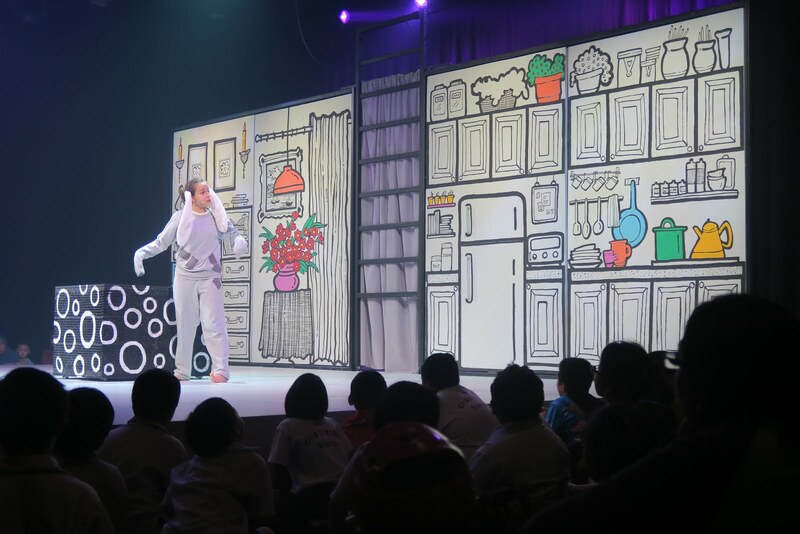 From a child who used to be scared of clapping in the theatre, he has grown into a boy who choreographs his own theatre performances at home, complete with "black light theatre", puppetry and "audience participation". I can see how comfortable Z is with theatre and the arts, and as a parent, that really beings me great joy. Perhaps one day I will see my little boy directing his own plays, or being an actor on stage; and that, I believe would be a day I look forward to!